As summers become warmer Comfort Cooling is an excellent way of providing gentle whole house cooling at a lower cost than an expensive full air conditioning system. Systems can be tailored to any building and can be fitted to both new MVHR systems as well as retro-fitting to existing systems, providing that all supply air ducting has been pre-insulated. BMD's Comfort Cooling systems will cool and dehumidify the incoming airflow by 8-12 °C in summer months, but remember that room temperature can also be affected by heat gain in the building and the air change rate provided by the MVHR system. The system operates with 100% fresh air - it does not recycle the return air. The system comprises of an internal cooling coil connected to an outdoor condensing unit with refrigerant-filled insulated pipework. The condenser gives off heat from the refrigerant into the atmosphere and chills it so that when it returns to the cooling coil it can further chill any air passing through to the supply registers in the house. Controls are via an on/off switch and thermostat located in a convenient position. Condensing units are typically 4.0kW for our larger heat recovery units/airflows and 2.5kW for medium sized units. 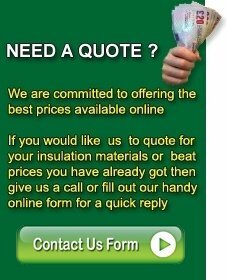 Comfort Cooling does need to be installed by our own specialised installation teams so it should be noted that we will only quote for a fully installed first fix or full installation. If you are fitting your own MVHR system it is perfectly possible to schedule our cooling installation to suit your timings. External condenser units are usually 830mm (L) x 550mm (H) x 300mm (D) and they require 100mm of air space behind the unit if they are wall mounted. A single phase dedicated 20A power supply (by others) is required to the outdoor unit position. 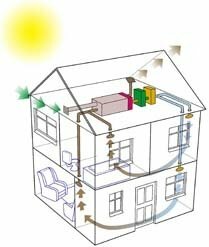 If you are using heat pumps for either heating or cooling (needs reversible heat pump for cooling) then we can also supply water heating or water cooling batteries (coils) which can be fed by your system & control gear to heat or cool the incoming fresh air to your MVHR supply positions as an alternative option. For further information on Comfort Cooling please do not hesitate to call our sales office on 01793 791010 or fill in our online Enquiry Form with your name and contact telephone number along with which products you are interested in and one of our sales staff will contact you to discuss your requirements.